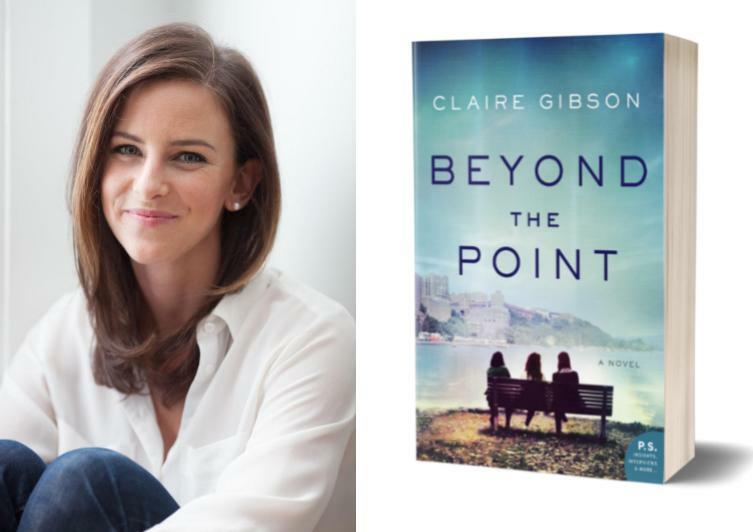 Parnassus Books is thrilled to offer our customers the opportunity to preorder autographed and/or personalized copies of Beyond the Point, the debut novel by Claire Gibson. Read on for important ordering instructions, as well as more information about Claire and her book. Beyond the Point will be published on Tuesday, April 2, 2019. All pre-orders can be signed or personalized by the author at no additional cost. If you would like your book personalized, please include exactly how you would like the author to personalize your book in the comments section of your order. The comments are delivered to us exactly as you enter them, so it is helpful if you write in full sentences (i.e. "I would like Claire to personalize the book to Susan Smith"). Everyone knows Dani McNalley is going places. With athletic talent and a brilliant mind, she navigates West Point’s predominantly male environment with wit and confidence, breaking stereotypes and embracing new friends. Hannah Speer’s grandfather, a legendary Army general, offers a stark warning about the dangers that lie ahead, but she moves forward anyway, letting faith guide her path. When she meets her soul mate at West Point, the future looks perfect, just as planned. Meanwhile, wild-child Avery Adams moves fast and doesn’t mind breaking a few rules (and hearts) along the way. But she can’t outpace her self-doubt, and the harder she tries, the further it leads her down a treacherous path. Claire Gibson grew up at the United States Military Academy at West Point, where her father was a professor. She attended Furman University in South Carolina, and studied in Asia as a young adult. And sometime in 2009, she put down roots right here in Nashville. She has written about the military, travel, faith, food and education. She once even broke a story about a landfill. Her work has been featured in The Washington Post, The Christian Science Monitor, and Entrepreneur Magazine, among many other publications. Beyond the Point is her first novel.